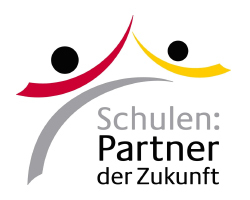 The Sponsorship Funds is a private initiative supported by employees, parents and the Board of the German International School Dubai. Unfortunately, not all families living in Dubai can afford to send their children on expensive school trips and excursions. The Sponsorship Funds’ aim is to show solidarity to such low-income families and to support them financially in a fast and uncomplicated way, thus strengthening the School’s team spirit. The Sponsorship Funds operate as a fully independent Committee, and is based on donations only. The Committee consists of a Board Member, a Teacher and a Parents’ Representative. Currently these positions are covered by: Mr Marcus Brösgen (teacher), and Mrs Ute Heidorn (Parents’ Council’s Representative) and Mr Götz Rössner (Board Member). To the Funds’ Committee Members it is of utmost importance that financial means are always available.Therefore, parents and friends of the School are kindly asked to make donations. For smaller amounts (AED 10.- up to AED 50.-), please put your donation into the “Camel Box“ which is found in the secretariat with Mrs Hermanns. The Camel is looking very much forward to being fed! Furthermore, in this way, students who would like to show solidarity with their fellow students can do so by donating smaller amounts. People who would like to donate larger amounts (AED 100.- up to AED 500.-) can put their contribution in an envelope and give it to Mrs. Hermanns or a member of the Sponsorship Funds. Perhaps you would even be able to encourage your employer to make a larger donation (AED 1,000.- up to 5,000.-). The Members of the Sponsorship Funds decide on the allocation of the donations. At the Annual Assembly of the School Members, the Funds’ Committee informs about the distribution of the funds. Application Forms for financial means are available at the secretariat or by email on request to info@germanschool.ae. Please contact Mrs. Hermanns to whom the filled-in Application Forms can also be returned by email or personally.